Tampa Bay Rays prospect Blake Snell pitched six shutout innings for the Montgomery Biscuits on Thursday, extending his season-opening scoreless streak to 33 innings. It was his second Double-A start after beginning the season in High-A with the Charlotte Stone Crabs. The 22-year-old lefty has struck out 43 batters, walked 14, and given up 14 hits this season. 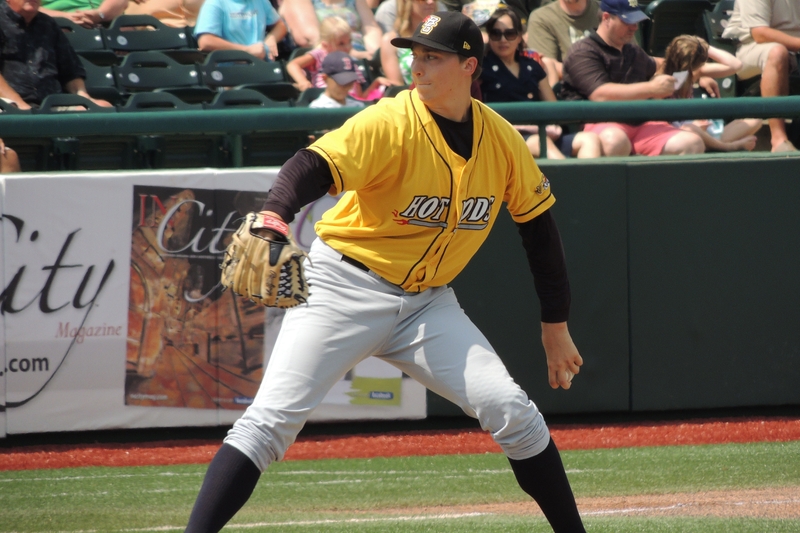 Snell pitched for the Bowling Green Hot Rods in 2013 and part of 2014. In 2013 he went 4-9 with a 4.27 ERA and 106 strikeouts in 99 IP. In his eight Midwest League starts in 2014, he went 3-2 with a 1.79 ERA and 42 strikeouts in 40.1 IP. He was one of four Hot Rods pitchers to combine for a nine-inning no-hitter against the Lansing Lugnuts on June 21, 2013. New York Yankees DH Alex Rodriguez hit his 661st career home run Thursday, passing Hall-of-Famer Willie Mays for sole possession of fourth place on the all-time list. He did it in the 3rd inning, after being robbed of a home run by Baltimore Orioles RF Delmon Young two innings earlier. Rodriguez, who turns 40 on July 27, trails only Babe Ruth (714), Hank Aaron (755) and Barry Bonds (762) on the MLB homers list. He was the Midwest League Prospect of the Year in 1994 when he batted .319 with 14 HR, 55 RBI and 16 SB in 65 games with the Appleton Foxes. Only two other former Midwest League players are members of the 500-homer club: Rafael Palmeiro (569), who played for the 1985 Peoria Chiefs, and Albert Pujols (525), who played for the 2000 Peoria Chiefs. Colorado Rockies RHP Adam Ottavino underwent Tommy John surgery on his right elbow Thursday. As a St. Louis Cardinals farmhand in 2006, he started eight games for the Swing of the Quad Cities (now the Quad Cities River Bandits), going 2-3 with a 3.44 ERA and 38 strikeouts in 36.2 IP. Top New York Mets prospect Noah Syndergaard reportedly will make his MLB debut Tuesday against the Chicago Cubs at Wrigley Field. The 22-year-old right-hander is 3-0 with a 1.82 ERA and 34 strikeouts in 29.2 IP in Triple-A this year. 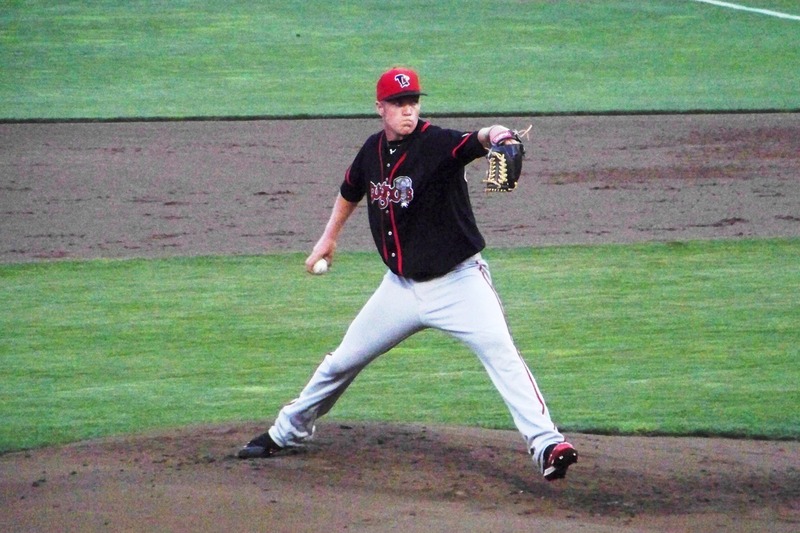 He spent the 2012 season with the Lansing Lugnuts, going 8-5 with a 2.60 ERA and 122 strikeouts in 103.2 IP. The Toronto Blue Jays traded him to the Mets during the following offseason. This entry was posted in Baseball Hall of Fame, Bowling Green Hot Rods, Charlotte Stone Crabs, Florida State League, Lansing Lugnuts, Midwest League, Montgomery Biscuits, Peoria Chiefs, Quad Cities River Bandits, Southern League, Wisconsin Timber Rattlers. Bookmark the permalink.